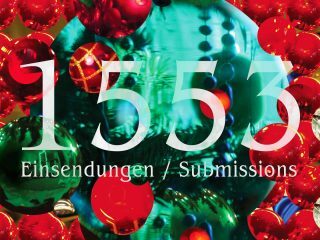 Weihnachtsfilmfestival Berlin 2018 – Ready to go! 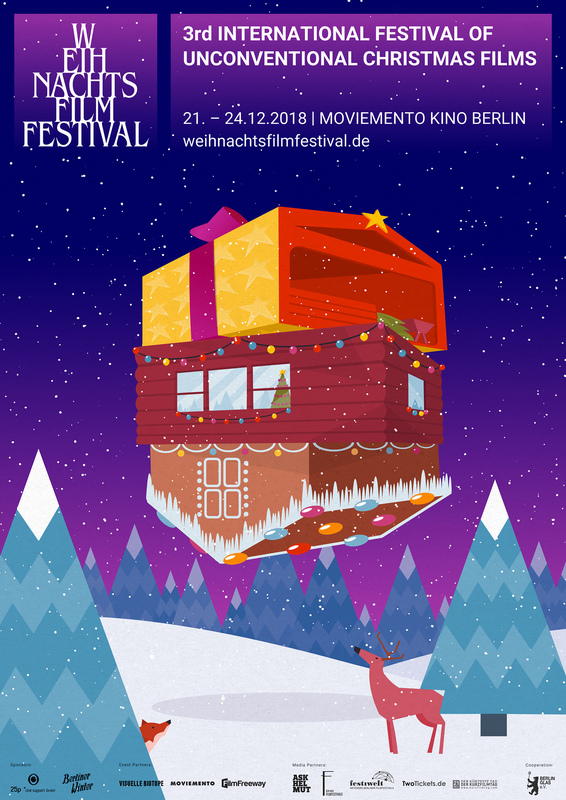 The Christmas Film Festival (Weihnachtsfilmfestival) 2018 starts already this Friday on December 21st. Four days packed with extraordinary cinematic and festive gems await you. We welcome filmmakers from the USA, Argentina, Slovenia, Italy, the UK, Switzerland and Germany, of course. Tickets are available online or directly at Kino Moviemento. 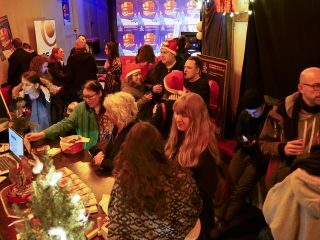 A total of 7 feature films and 78 short films from 30 different countries are part of this year’s Christmas Film Festival, including many premieres. We are opening the festival on the “Kurzfilmtag” (“Short Film Day”). For this special occasion we will start the 3rd international Festival of unconventional Christmas Films with 3 short film programmes and celebrate the winter, the life and the darkest night of the year. The other short film blocks of the festival deal with the topics of religion and faith, food, family, the handling of fates and the Nativity Story, reinvented. In the documentary films, we learn about the commercialization of Christmas in Argentina and accompany the passionate employees of a winter themed amusement park in the USA. The feature films take us to Italy, where Jesus returns in person to the earthly world. In South Korea, Mr. Mo wants to fulfill his last lifelong dream and shoots silent films in the style of Charlie Chaplin movies with his son. And in Canada, we get into chaotic family trouble when an orphan stirs up the Furys. Our horror movie promises not only goose bumps, but also a lot of humor, because a shrewd babysitter has to battle 3 wild witches. For the first time we also present an animated feature film and meet old acquaintances, the Moomins in the Winter Wonderland. Previous Post (p)	Let it grow, let it grow, let it grow!